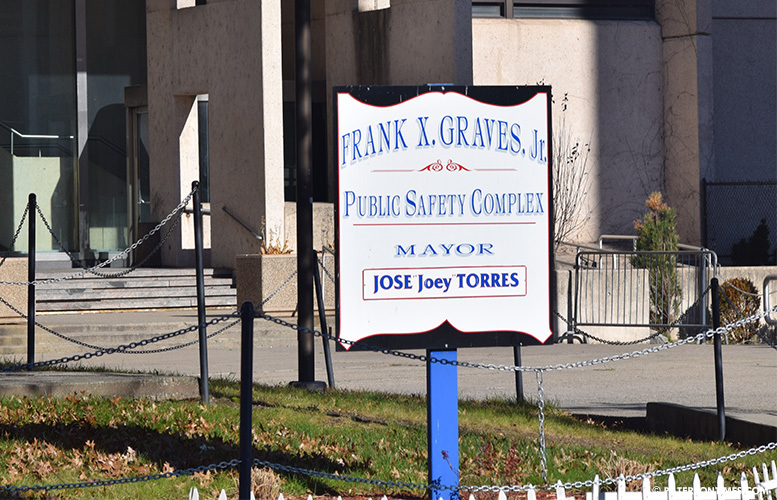 The city refused to take on $3.85 million in debt to upgrade heating, ventilation, and air conditioning (HVAC) systems at the Frank X. Graves Public Safety complex and the Paterson Museum. Council members voted down the bond measure last week and some told mayor Jane Williams-Warren’s administration to defer the upgrades. Chief attorney Domenick Stampone told council members there are two court orders that mandate the city make the upgrades. Stampone said the court order mandates the city provide air conditioning at the Paterson Museum on Market Street. “This is one we can defer. I’m not saying it should not be done,” said Morris. He said the winter will be here soon and there will be no need for air conditioning giving the city time. The city will be held in contempt if it fails to provide air conditioning at the museum, said Stampone. This could lead to additional legal expenses. In the second order, the police union secured a consent order from the court that requires the city ensure temperature within some parts of the public safety complex on Broadway is below 78-degrees. Some council members pointed out young children and teachers suffer in overheated school buildings. “Who do we hold accountable for that?” remarked council president Ruby Cotton. She appeared to suggest where is the court orders to force the state, which controls the local school district, to ensure classrooms are at optimal temperature to educate children. “Our children don’t have ACs,” said Alex Mendez, councilman at-large. The court is not requiring the city to make major upgrades. However, the city has tried alternative measures like window units and standalone units, said Stampone. He said the city also looked at parking chillers outside the buildings to cool them; however, that carried a prohibitive price tag. Stampone said the city will have to spend money to comply with the court orders. The borrowing measure was rejected in a 5-4 vote. The measure needed a super majority of six affirmative votes to pass. Council members Jackson, Shahin Khalique, Mendez, and Morris voted against while Maritza Davila, William McKoy, Andre Sayegh, Luis Velez, and Cotton voted in favor. “I don’t want to run the risk of paying more in the future,” said Sayegh prior to his vote. McKoy said by the time the upgrades are made it will be summer. “Waiting a few months is probably going to set us back,” he said. He said the museum situation has been going on for a while and the police headquarters has fixed windows. The debt was to be paid over a 15-year period, according to municipal records. The funds would have also covered electrical system improvements and elevator upgrades at both buildings. $3.66 million is being borrowed; however, with other costs the total is $3.85 million.